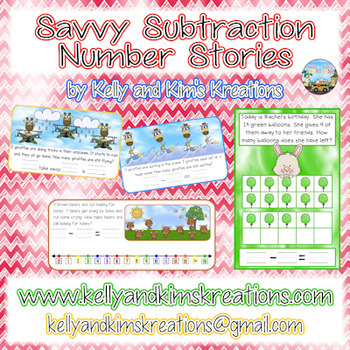 Savvy Subtraction Number Stories is full of word problems for finding differences! 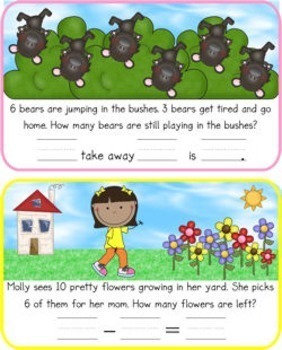 These tasks focus on math vocabulary “take away” and “minus” and helps children learn to solve subtraction problems on numberlines, ten frames, and by crossing out objects. 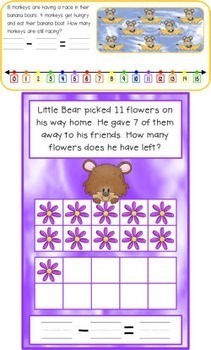 Children will also practice writing subtraction equations to match each story problem. This pack includes materials for four separate one-time prep subtraction number story lessons, each with examples for modeling, group task cards, and an assessment. 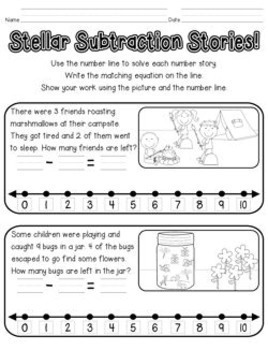 We hope your children enjoy these subtraction stories as much as ours do! please consider the following items from our store HERE. We also have several addition packs that can be found HERE. Are you a “Kelly and Kim’s Kreations” follower? Come and follow our store so you don’t miss out on new product notices, current product updates, future freebies, and so much more! You can also find us on our Blog,as well as on Facebook, Pinterest, Instagram, and Twitter.